Okeechobee Music Festival has recently announced their 2018 schedule with a roster of impressive live sets to check out on March 1-4 in Okeechobee, Florida. For the past two years the festival has packed in large audiences to their event, and 2018 should have a similar impact. A list of the hottest sets this year include a variety of entertainment from different genres of music. 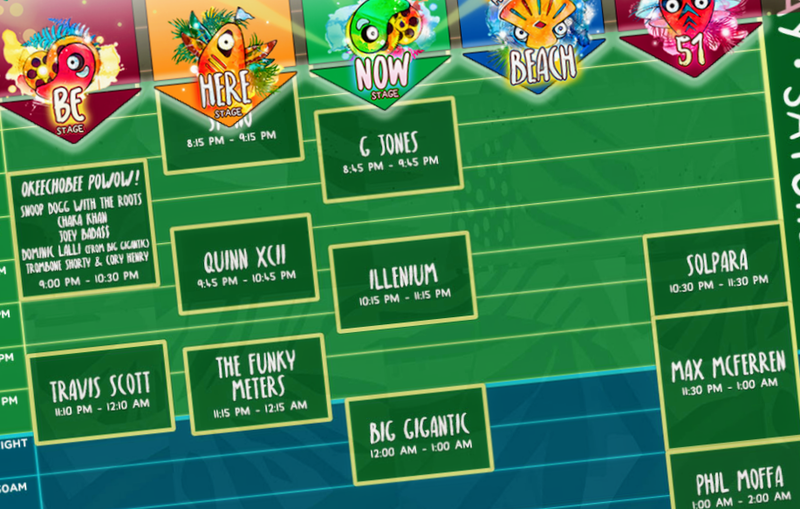 On Thursday the festival is hosting a wide selection of EDM with the ‘Full Moon Party’ featuring Thriftworks, Opiuo, and Bassnectar. Friday at Okeechobee there will be Sylvan Esso, STS9, Lettuce, Bassnectar and additional acts performing on five different stages. 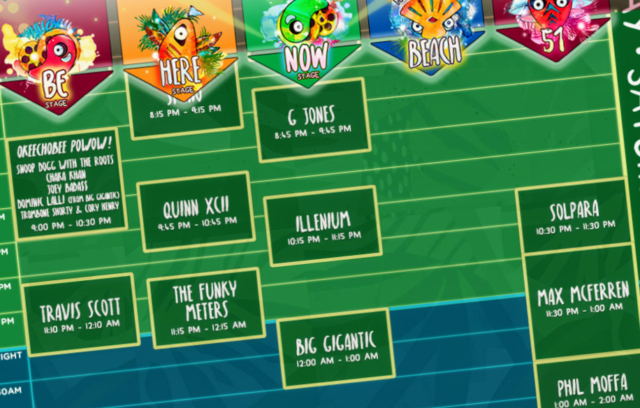 This Song Is Sick is hosting a Beach Party on Saturday with Flamingosis from 1:15 p.m. to 2:15 p.m.
Additional heat seeking sets on Saturday include: Chet Porter, Thievery Corporation, The Funky Meters, and Big Gigantic. The Okeechobee PoWoW! special set will host Snoop Dogg with The Roots, Chaka Khan, Joey Bada$$, Dominic Lalli of Big Gigantic, Trombone Shorty, Cory Henry, and special guests from 9:00 to 10:30 p.m.
Entertainment on Sunday will wrap up with Sofi Tukker, Trombone Shorty & Orleans Avenue, Lil Dicky, Big Wild and Arcade Fire closing down the festival in grand fashion. Tickets are currently on sale through the festival’s main website. THE DAILY SCHEDULE IS HERE & the feels are real 🌀 Envision yourself in the portal as you explore the Be, Here, Now, Beach & Jungle stages. We are just 24 days away…Regular ship deadline for ALL passes is 2/9!